Abdul Baha’s funeral was carried out by Muslim rites! All ceremonies had to be conducted in accordance with Muslim, Christian or Jewish law, and by clergy of those faiths. I recently learned that the first Baha’i funeral in the Holy Land was the funeral of Mirza Muhsin, who had been married to one of Abdu’l-Baha’s daughters. He died during the ministry of Shoghi Effendi. Up to that point, Baha’i funerals were conducted in accordance with (Sunni) Muslim rites, as that was the most recent of the divine revelations. For Mirza Muhsin’s funeral, Shoghi Effendi informed the Mufti of Akka — the leading Muslim clergyman — that he would not have any role in Mirza Muhsin’s funeral, which was conducted at Bahji. At one point during the ceremony the mufti stood up, and Shoghi Effendi pointed at him and told him to sit down. But up to that point, Baha’is had no choice. 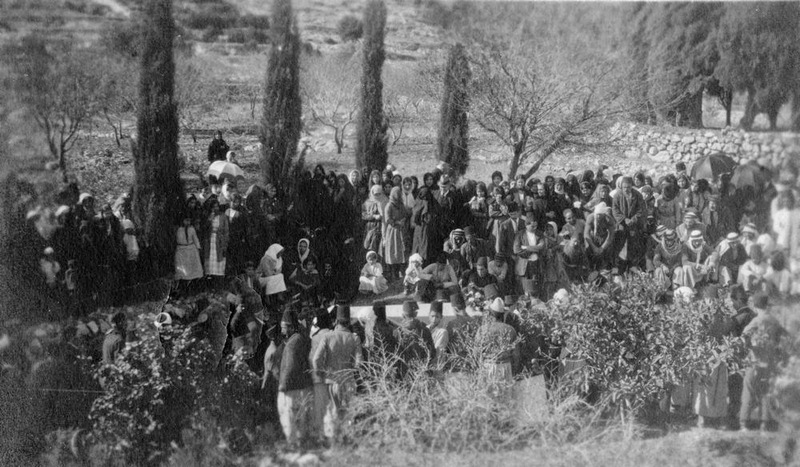 There was no such thing as a civil funeral, and until the time when the British governed the Holy Land, the Baha’i Faith was not recognized as an independent Faith there. Recognition by the authorities is a gradual process. Likewise the establishment of Baha’i cemeteries in the Holy Land was a gradual process. There are now 4 of them available for burials: One in Haifa at the foot of Mount Carmel, close by the Jewish Cave of Elijah; one near the eastern shore of the Sea of Galilee; one in Jerusalem; and one in Eilat. These were gradually established. One Response to Abdul Baha’s funeral was carried out by Muslim rites! Dear Tablighat-i-Islami: Although you have accurately copied a comment I posted to a blog, the way you have presented it, you give the impression that I wrote it for your website and that you have posted it with my permission. At the very least you should identify it as copied from a comment posted to a blog, and give the link to the blog, rather than giving the misimpression that I am a partner in your opposition to the Cause of God. Don’t you think this is required by insaf and ‘adl?